The Oxford Review actively supports the work of a series of charities. We provide all of our services and additional research and consultancy work free to these amazing causes. This isn’t hands off stuff. We also help on the ground. We have along history of active help, particularly in Africa. Stimulating solutions is a not-for profit NGO based in Durban, South Africa that helps to equip and training anyone involved in child care (orphanages etc) in areas of high depravation. For example they help to provide training, guidance, equipment and buildings in areas like the Valley of a Thousand Hills just outside Durban. This area has a very high (over 70%) HIV infection rate and the orphanages are full to overflowing. Consequently the children receive very little personal attention as the staff are few and largely untrained. As a result of the lack of adult contact the children in the orphanages do not get nor do they develop the levels of emotional intelligence and emotional literacy children raised in families do. A recent study found that children deprived of the emotional building blocks for emotional intelligence and empathy have a significantly higher chance of becoming engaged in crime and in particular violent crime. This work Stimulating Solutions is doing is vital not just for the children and their carers but also society at large and needs our support. 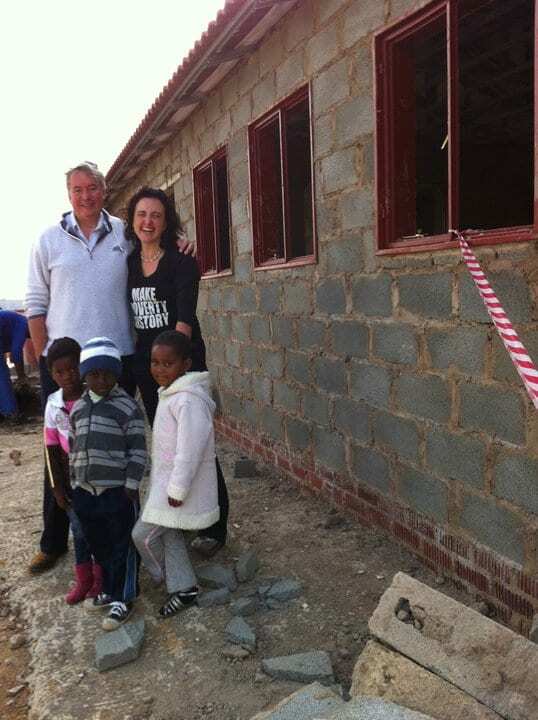 David with the founder of Stimulating Solutions, Cassy Healey outside an orphanage under construction. When war sweeps through a child’s life, it can have devastating effects. As a result of armed conflict, children and young people often become anxious, depressed and withdrawn, or rebellious and aggressive. In order to overcome these effects of war, War Child provides children and young people with psychosocial support, education and protection. War Child encourages children and young people to play an active role in shaping their own future. Children and young people are creative and have the skills to shape their lives and cope with adversity, even when they have experienced armed conflict. In War Child’s projects, children and young people use creativity as a tool to cope with the effects of armed conflict. 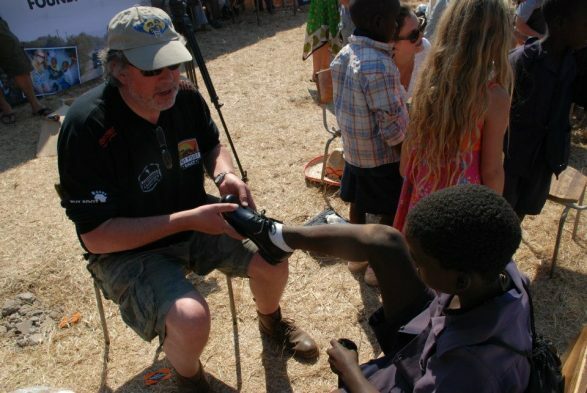 Warchild is a dutch charity that does much needed work.